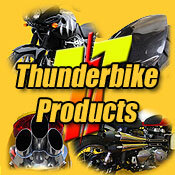 TOMCC NZ Inc is also a member of the World Association of Triumph Owners Clubs. WATOC has been active since 1997.Its purpose is to bring Triumph Owners together, share information and make the Triumph World for our members much smaller. Click on the logo for their website. Every year WATOC also runs the WATOC Challenge, a competition in which all member countries may take part. The competition involves accummulating as many miles as possible ridden on a Triumph whilst attending Triumph Club organise events. Further details from Ken Spall ph 03 489 1740.